Every town in the world seems to have a central gathering place where men have coffee and breakfast in the mornings. Sometimes the women show up but not as often as the men. Maybe the wives are home doing dishes. Salvador’s is probably the main restaurant in Ajijic for this sort of gathering. I am not saying that women don’t go there for breakfast. They do. I am just making an observation about men and morning coffee gatherings. 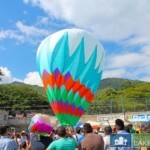 Salvador’s is centrally located and easy to find. There is plenty of parking. The breakfasts are good and reasonably priced. 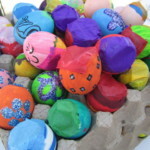 The owner, Jorge Arreguin has developed a thriving business there. 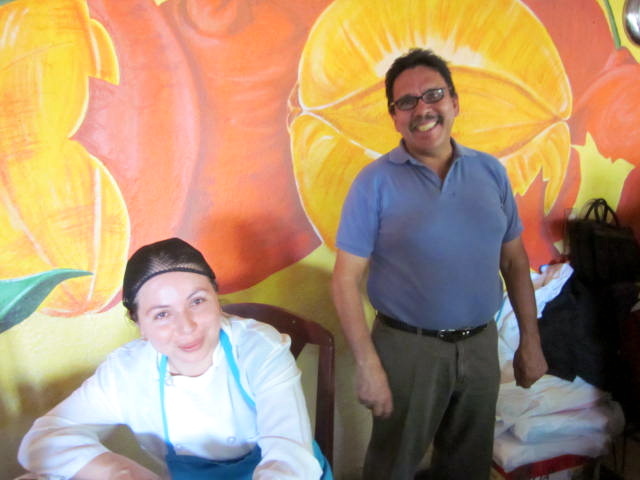 Jorge and his brother Salvador opened Salvador’s Restaurant sixteen years ago. Not only did Jorge help build Salvador’s, he also was part of the creation of the entire Plaza Bugambilais . 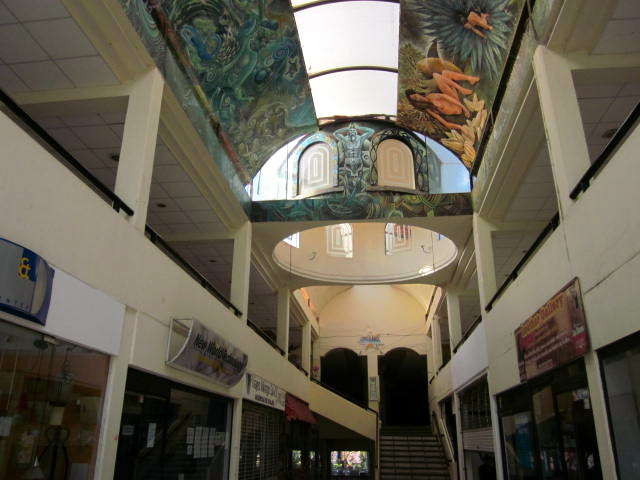 There are many different stores in the plaza including a banking ATM center, beauty shop, El Torito grocery store, drug store and upstairs there are more shops including three small restaurants and a movie theater. The murals on the ceiling are beautiful. 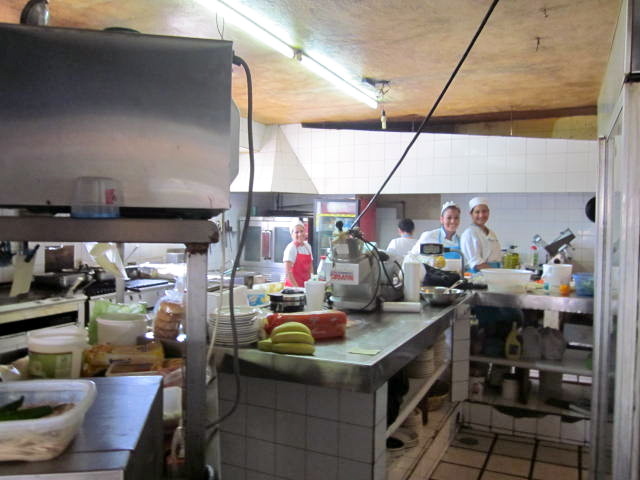 Jorge and his brother Salvador ran the restaurant together until nine years ago when Salvador quit and opened his own restaurant in the West Ajijic area, Dona Lola. Jorge’s busiest time of the day is breakfast. He serves many breakfast combinations, which include juice or coffee. 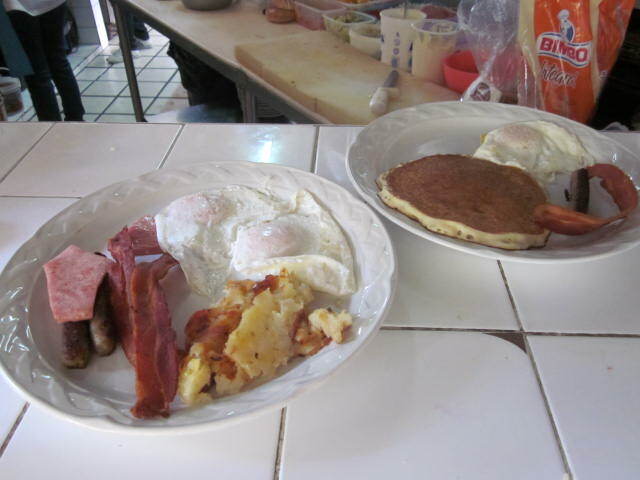 Prices range from $32 pesos for a croissant sandwich with hash browns to full meals: two eggs and two slices of ham, two slices of bacon, hash browns and toast for $48 pesos. Many other combinations are also available. Breakfast is served all day. On Sundays, Jorge has a buffet for $75 pesos. It also includes luncheon food. 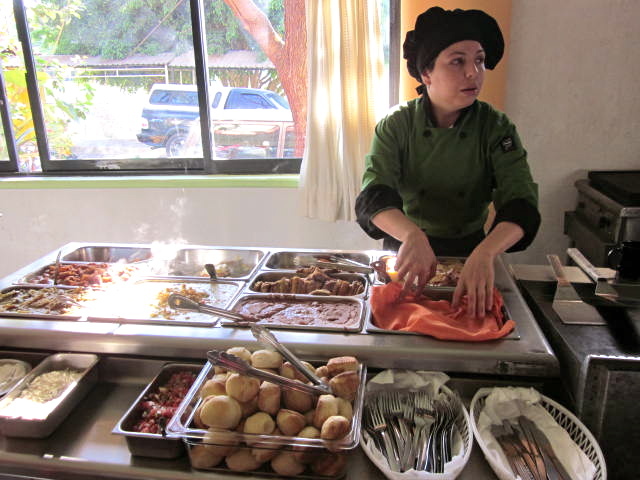 He has several traditional Mexican dishes in the buffet. Hours for the Sunday Breakfast Buffet are from 7:30 a.m. to 4 p.m. It is a great bargain and many people go there, especially after church. Sometimes a large group of Mexicans on motorcycles will show up on Sundays. I am guessing it is a club of some kind from Guadalajara. Don’t worry; they are a peaceful group. Everyday, Jorge has four or five lunch specials. Monday and Tuesday is meatloaf. He says it is the most popular meal he serves. On Wednesdays, he serves Roast Beef. Pizza is served on Friday and Saturdays. 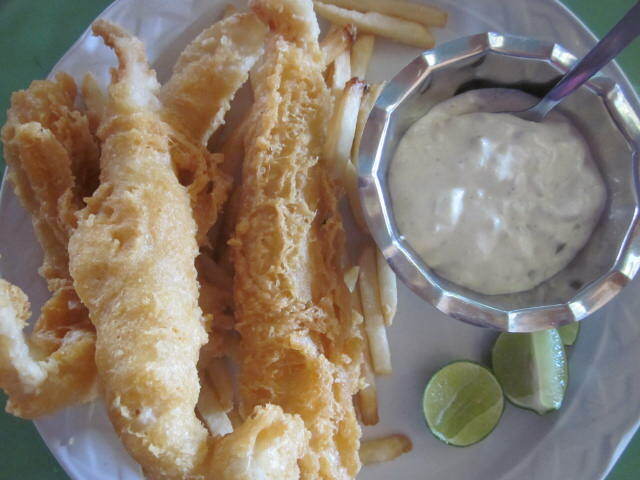 A delicious fish and chip meal is served on Fridays. All specials are $80 pesos and every dish but the pizza includes one trip to the salad bar. Jorge has beef, fish, shrimp, and chicken everyday prepared in different ways. If you don’t want to order one of the specials, you can just order from the regular menu. He has soup and salad if you aren’t very hungry. He has four specialty salads for $35 pesos each. 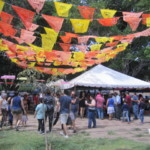 There is a Traditional Mexican menu of eighteen dishes. Price range is from $48 pesos to $70 pesos. He has eight pastas from $60 pesos to $84 pesos. Barbecue ribs and Osobuco are 90 pesos each. There are ten different chicken dishes on the menu for $84 pesos. There are sixteen different seafood dishes for $84 pesos. If you can’t find something you like in his extensive menu, then you just might not be hungry. There are eight tables outside and 30 tables inside. People are allowed to bring their dogs to the outside tables and to smoke their cigarettes. No dogs or smoking allowed inside. Jorge has the capacity to serve 170 people at once. Almost every day there is a street musician serenading the customers with guitars and love songs. 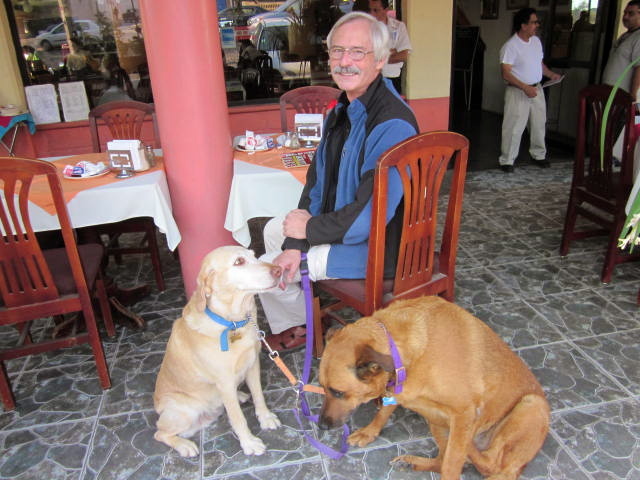 They make the rounds of several restaurants in town and Salvador’s is usually on their lists. An added bonus: If you have a Lake Chapala Society Card, the meals are ten percent off. That adds up if you eat out often. The hours are: from 7 a.m. to 6 p.m. except Thursdays when they close at 3 p.m. They are open seven days a week. In the past, Jorge said that groups would have shows there and he served special plates but that has stopped. Sometimes groups of children from the schools will show up. He has a special inexpensive menu for the children. 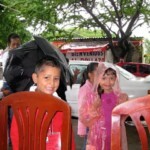 Hamburger, coke and cake are $35 to $40 pesos for the children. During the high season, he serves three thousand meals a week. During the low season it goes down to two thousand a week. Four years ago he had thirty employees. Now he has fifteen. He said that when the insurance companies in the States stopped covering medical expenses, the expat community here went down. Also, when people had to have passports to get back into the States, that didn’t help. Of course the bad economy in the States didn’t help either. All these things combined made his business drop significantly. There is one main chef, Sylvia Corona. There are four kitchen helpers. The busiest times of the day are breakfast from nine to eleven and lunch from one to two. Wednesdays and Sundays are the two busiest days of the week. Wednesday, the market is on the street running beside Salvador’s. Many of the same people show up to have breakfast there either before or after they do their weekly shopping. 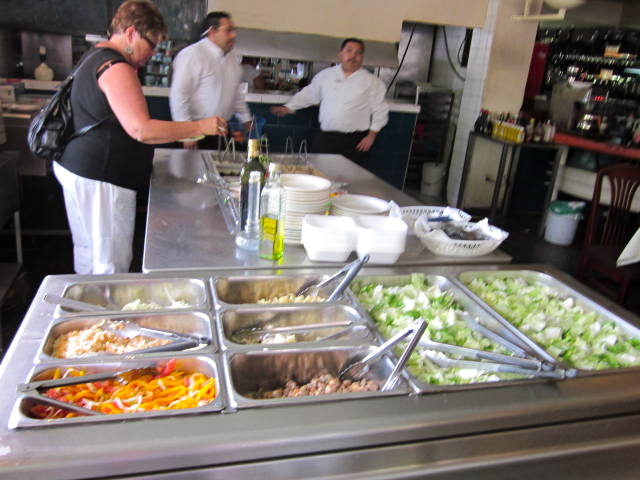 Sundays are popular because of the delicious and inexpensive buffet. The food is a combination of Mexican and American. Jorge said that his customers now are fifty percent Mexican and fifty percent American and Canadian. A few years ago it was ninety percent American, but that was before all the changes in the past few years to the economy, etc. 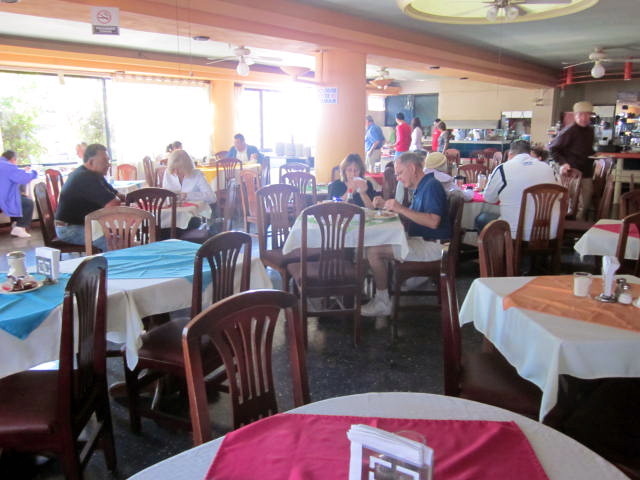 At one time there were twenty-four regulars– expats, coming in almost every morning for breakfast. They sat at a long table and this went on for twelve years. But now, Jorge says there is only one person left from that group. The rest have either passed away or gone back to their home countries. His most popular meals are the fish and chips for $70 pesos, Salvador’s Tacos for $84 pesos and Barbecue Ribs for $90 pesos. Also popular is a dish called Tampiquena, which is a long piece of steak, served with guacamole and beans for $85 pesos. 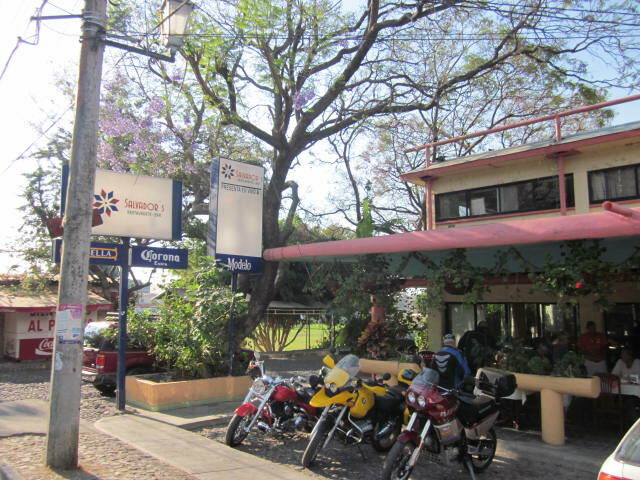 He has Rib Eye steak, T-bone steak and New York steak for $90 pesos. Sometimes they do catering. 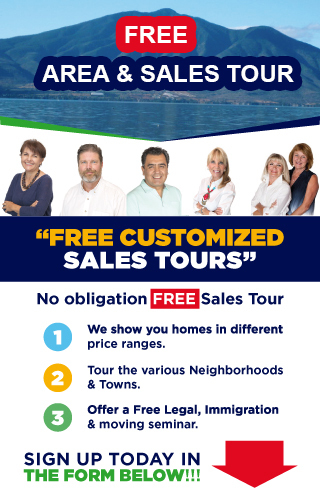 Call: 766-2307. Also take-out. He has many repeat customers. 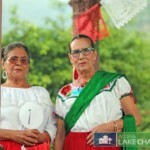 Lake Chapala Society members get ten percent off if they show their card. That can make a big difference to people, especially if people eat out often. They have cheesecake, chocolate cake and apple pie for dessert for $25 pesos. On Sundays, everybody works. There are five waiters. Most of them have been there up to ten years. Before the business went down they had nine waiters but they had to cut back. At one time they had thirty employees. Now they have fifteen employees. They serve ice tea, coffee, beer, wine and mixed drinks. They also have a sandwich salad and soup meal for light eaters for $55 pesos and a soup and salad meal for $48 pesos. Everyday they have a fresh salad bar. It is $25 pesos for one plate or all you can eat for $45 pesos, or one plate free with the lunch specials except for the Pizza special. My waiter was Ignacio Preciado. He said that he has been working there for eight years. It will be nine years in fifteen days. But who is counting? 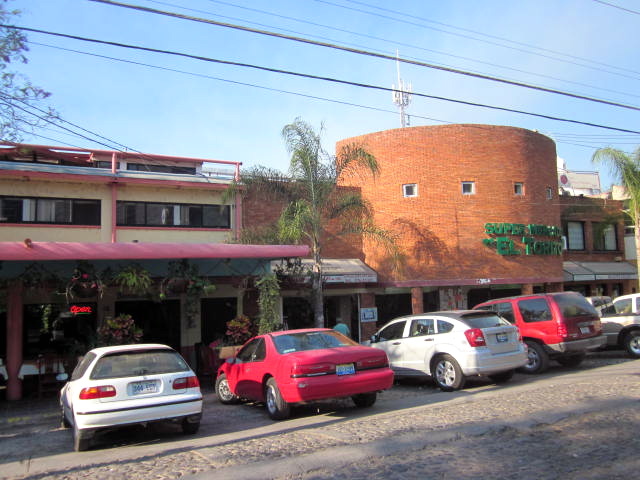 Salvador’s is on the corner of Revolucion and the Carretera. The Carretera No. 58.